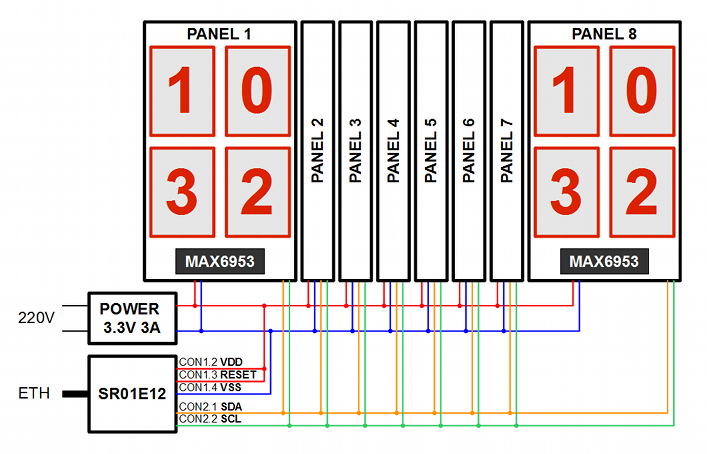 In this application note is shown an easy way to do a 16x2 character LED panel, controlled by a PC with an Ethernet connection. It is built with 8 MAX6953 chips, driven by I2C from SR01E12. To each MAX6953 are connected 140 LEDs in the form of 4 LED matrices, each with 5x7 dots, like at the picture at right. The panel can be configured not only to 16 characters in 2 lines, but to any needing. 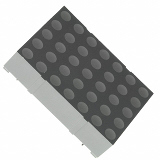 Adding just MAX6953 chips and LEDs to this design can be handled up to 128 characters (128x5x7 = 4480 LEDs). Using I2C expanders, total number can be increased even more. The design is made with ready power supply unit, providing 3.3V 3A. An SR01E12 board, which takes a power from PS and provide I2C data to the panels. Display contain 8 separate panels. Each one has a MAX6953 chip and 4 LED matrices. 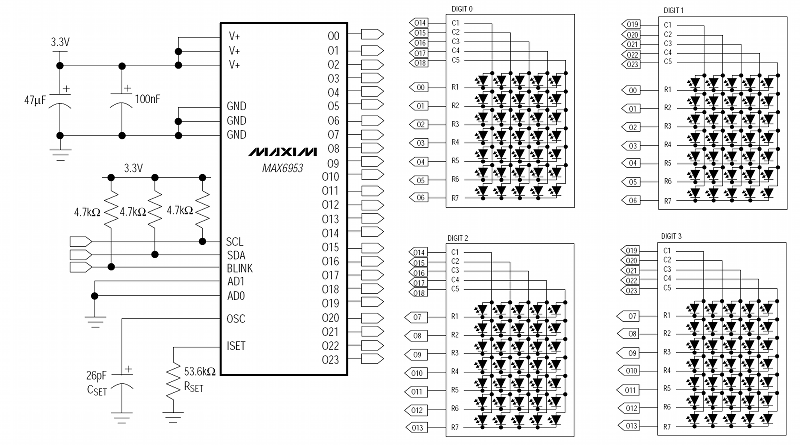 Each MAX6953 has own I2C address setup on board and for this design are used addresses from 0xb0 to 0xbe (0x58 - 0x5f if shifted right due to RW bit). The user interface is built with QT framework. It is split in 2 dialogs. 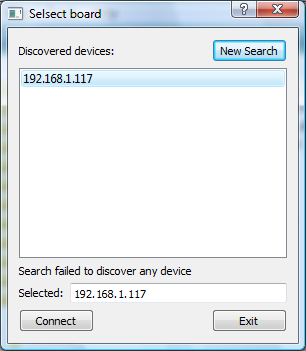 First is to obtain all network interfaces, search for SR01E12 boards and select an of them. 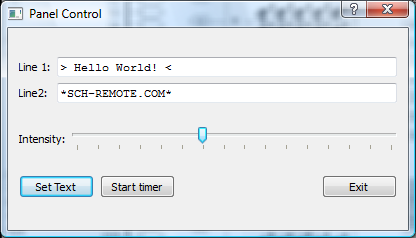 Second dialog is used to set text on panel, control LEDs intensity and switch real time clock. All written code is under 350 lines.